10mm Blue Beveled Satin Finish Tungsten Carbide comfort fit black lasered Fish Tank Aquarium design. 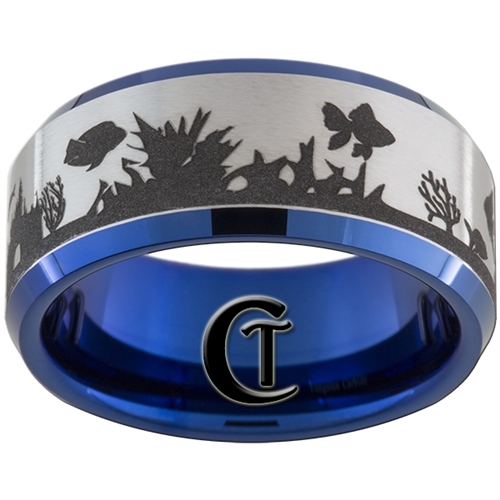 The blue is a special coating that is durable, but can wear. 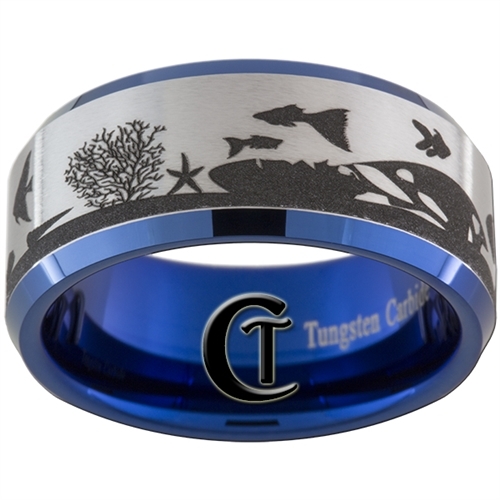 For every day wear we recommend the silver color Tungsten Carbide.